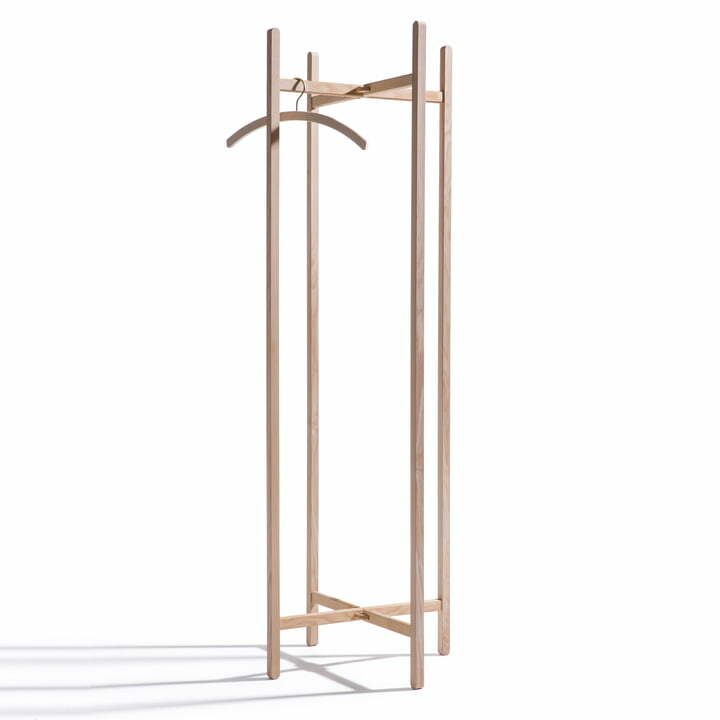 The New Hang On coat rack lives up to its name, since the clothes rack by side by side truly is innovative: it is foldable, so that it can grow or shrink depending on need. 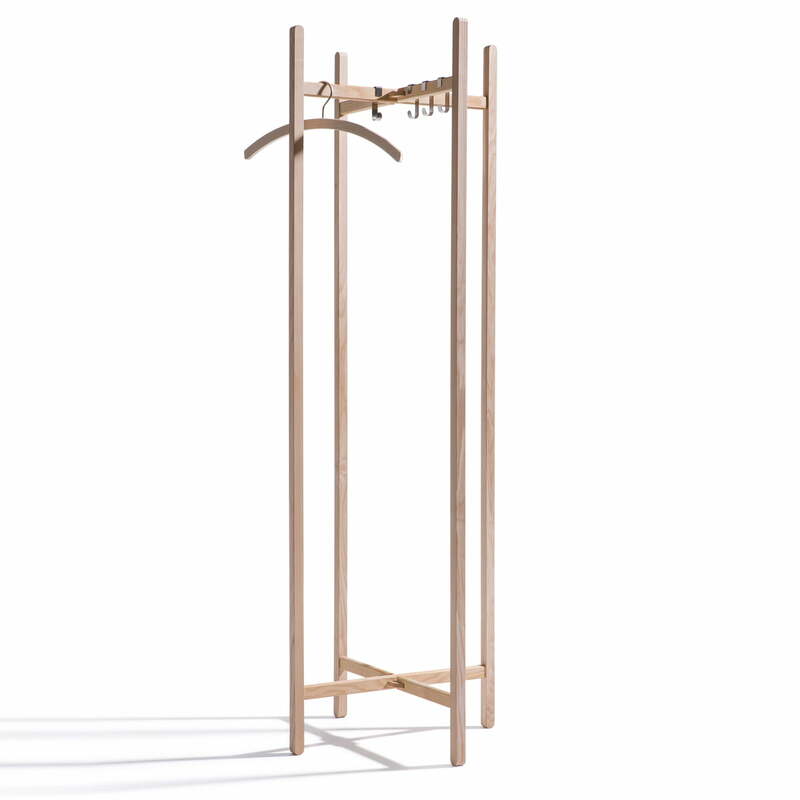 If it’s just a few jackets that need to be hung up or if the coat stand has to be transported, the New Hang On can be made flat in an instant. If guests say they’re coming over or if there’s more clothes than usual to go on the practical piece, it can just as quickly become a large standing hall stand with lots of storage space. All this without compromising on design: the side by side New Hang On is pleasurably discreet. Hangers are easily hung off of the rails. Moreover, side by side offers a set of hooks for the coat rack, so that every piece to be hung gets a suitable place on the solid ash New Hang On.